The $6000 payout saga is a fountain of inspiration. It is a controversial subject both in politics and in management. In particular, it affects Executive Officers much because it is an interesting management case and it also involves many Executive Officers in their daily work. With the payout to 6 million settling down, we would wait and see whether the process would create chaos. It can be contained with good planning on operations management. The next big one is the $6000 payout to non-permanent residents through the Community Care Fund. The innate fatality of the proposal has been well discussed, that the Community Care Fund should not be involved in the first place. But we could focus on the management side and try to figure out how it can be done. Community Care Fund is a shell. On this particular occasion, it receives money from the government and decides how to pay it out. It is an umbrella to help government shelter the rain. Besides being a talk shop and taking the blame on the decision made, it should do nothing. The mode of operation of the fund is for government departments, mainly Education and Social Welfare, to apply for money to do their duty. When asking the Finance Committee for the fund injection, the government stated that additional staff in these two departments would be required. Home Affairs Bureau also requires additional staff to man the Community Care Fund Secretariat. As you can guess, it is staffed by Executive Officers. Rebecca is the brain. I also noted earlier that the Fund Secretariat would not receive applications from individuals. Now the critical part. The initial estimate of the number of beneficiary is 230,000. This number will increase should the political parties be successful in raising the income limit. The present thinking is for applications to be made to the secretariat. This creates chaos and the first bottleneck. Just imagine 230,000 persons sending in application or queuing up outside Southorn Centre. I hope there will be announcement on a more detailed and workable plan. Perhaps the banks and Post Office will take this on as well. Then comes the validation. As there is an income limit, applicants are required to submit proof. Some will claim they are already benefit recipients and some will just declare they earn very little. Each application will have to be processed and examined, and perhaps with data matching (note PDPO restriction) with other benefit systems. In fact, any non-permanent resident could just declare and claim the $6000. An odd statement is that the secretariat will audit 10% applications. This is a revelation of operation secret. A clever way to say it is that applications will be audited. But 10% would mean a lot of cases to be investigated. Same as the big queue, there is also work on data prep, data matching, bank account validation, fund transfer and cheque printing. I think there is no way that the secretariat could undertake all these work and there is no choice but for the exercise to merge with the big queue some point in time. The Fund has set aside $30 million as administration fees and bank fees. That is $130 per application. What a costly exercise; and this has not taken into account the staff cost of civil servants and the social cost of 230,000 persons making application. Who will do the initial check of the eligibility and then the random audit? Will there be another office to be created staffed by Executive Officers and NCSC staff, or a very much expanded Fund Secretariat? The June 2011 issue of the National Geographic carried an article on The Birth of Religion. This article can be read on line. The substance of the article is actually on an archaeological finding at Gobekli Tepe, located at the southern part of Turkey. To a layman, the site is just like many archaeological sites around the world, with stones crudely sculptured and placed in odd arrangement. 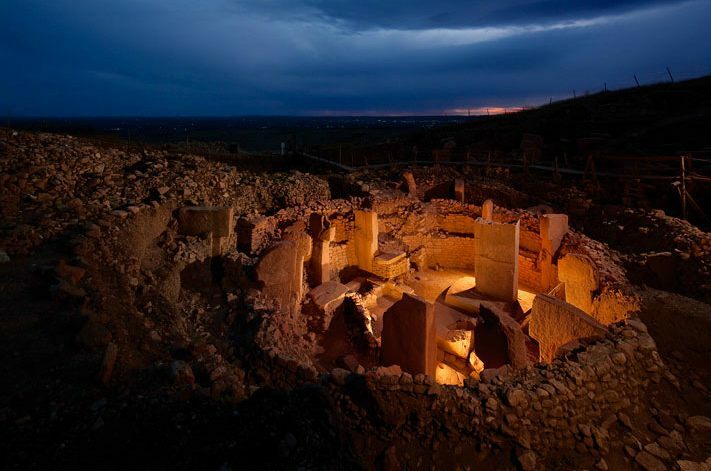 But expert said that Gobekli Tepe is the oldest known example of monumental architecture. The site is vaguely reminiscent of Stonehenge, except that it was built much earlier. The assemblage was built some 11,600 years ago, seven millennia before the Great Pyramid of Giza. It contains the oldest known temple and can be traced to the birth of religion. The birth of religion is always an important question for the archaeologists, scientists, psychologists and philosophers. It is not an important question to the religious because as history being exposed, the less holy and less supernatural it becomes. There has been a long standing theory that the triggering point of human civilization is the Neolithic Revolution, occurred about 10,000 years ago when human settled down in stable communities and started agriculture. The change enabled many groups to grow larger. More resources were available and a society hierarchy was established with clan elders and leaders governing the communities. Religion started at this moment when groups of human worshipped the unknown nature and the respected leaders. The discovery of Gobekli Tepe added more information and variations to the theory because it was much older. Around 11,600 years ago, the Neolithic Revolution was not in full swing. Human were mostly scattered in very small groups as scavengers and hunters. The discovery of such an archaeological site with religious intonation suggested that the fear of nature and the urge to worship appeared much earlier. In fact, it was such psychology that scattered human were attracted to a location of natural significance. The gathering of more individuals would create the problem of subsistence, order and security, thus give birth to the Neolithic Revolution of mass production of food, social structure, exchange and retention of knowledge and civilization. The old model of transition of human from hunter/gatherer - agriculture - religion - to farmer is now supplemented by another model of hunter/gatherer - religion - agriculture - farmer. These two models could co-exist for a long time and interact with each other. Compared with the birth of religion, the three Abrahamic religions and other existing religions are much younger and developed much later. Religious scholars claimed that from the Bible, the creation of the world occurred only 8,000 years ago. Notwithstanding the scientific discovery of the age of the present universe being 13.7 billion years old, there is now evidence of religion tracing back as far as 11,600 years. Even Adam and Eve did not exist at that time.